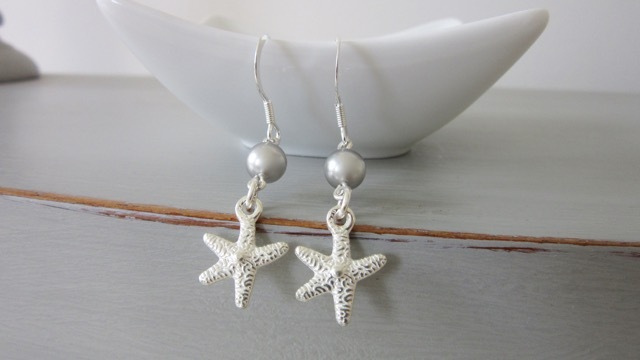 SILVER PEARL STARFISH - HEY JULES! 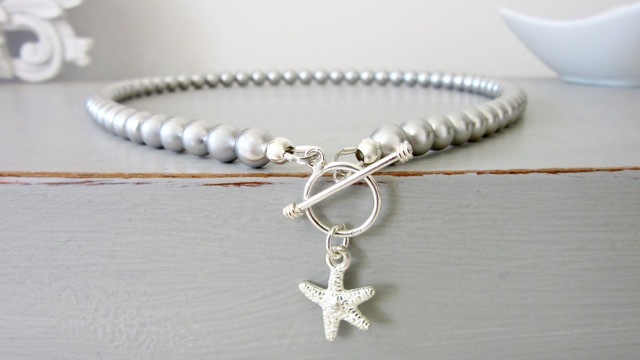 The Silver Pearl Starfish necklace is both modern yet classic and sophisticated. 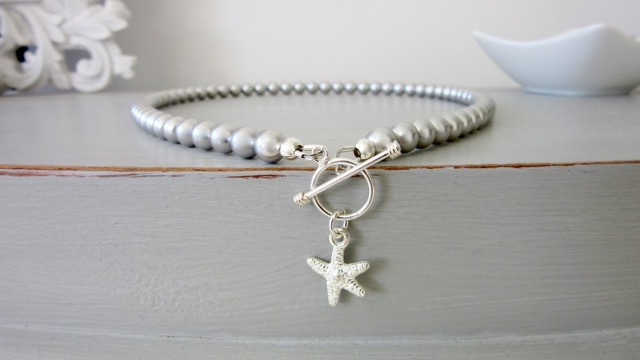 It looks fabulous dressed up, but just as good with a vest top and denim, perfect coastal chic! You can also choose to wear this piece with the toggle at the back for a more simple look. 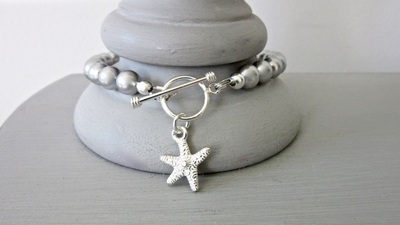 A single sterling silver starfish pendant is hung on a sterling silver detailed toggle clasp. The pearls are Swarovski light grey and have a lovely silver tone with just the right amount of sheen. DIMENSIONS The Necklace measures 45cm in length, and the pearls used are 6mm. The round part of the clasp measures 12mm, and the T bar 20mm. The starfish measures 15mm high by 11mm wide. Please contact me if you require a different length. The Silver Pearl Starfish bracelet is both modern yet classic and sophisticated. It looks fabulous dressed up, but just as good with a vest top and denim. 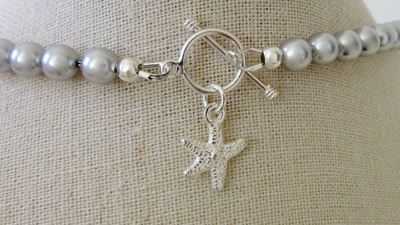 The starfish charm has a touch of coastal sophistication. A single sterling silver starfish charm is hung on a sterling silver detailed toggle clasp. 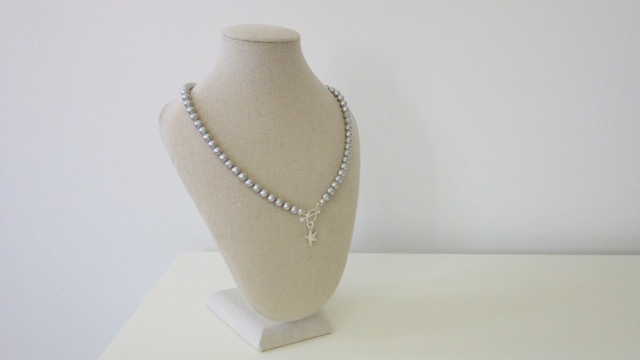 The pearls are Swarovski light grey and have a lovely silver tone with just the right amount of sheen. 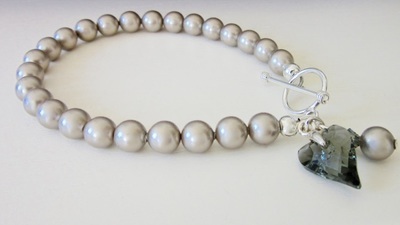 DIMENSIONS The bracelet measures approximately 19cm (7.5 inches) in length, and the pearls used are 6mm. 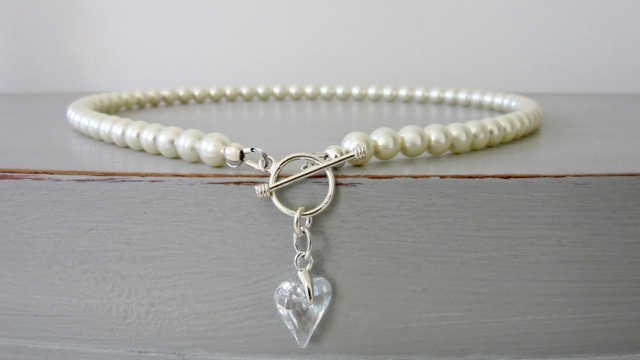 The round part of the clasp measures 12mm, and the T bar 20mm. 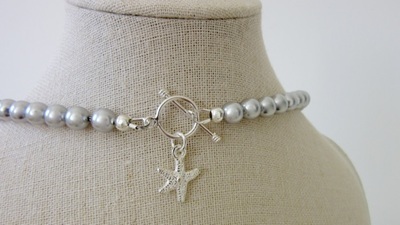 The starfish measures 15mm high x 11mm wide. Please contact me if you require a different length, or feel free to leave your actual wrist measurement in the notes at checkout and I will make sure it fits just right. The Silver Pearl Starfish earrings are both modern yet classic and sophisticated. They look fabulous dressed up, but just as good with a vest top and denim. The starfish charm has a touch of coastal sophistication. A single sterling silver starfish charm is hung on a sterling silver ear hook. 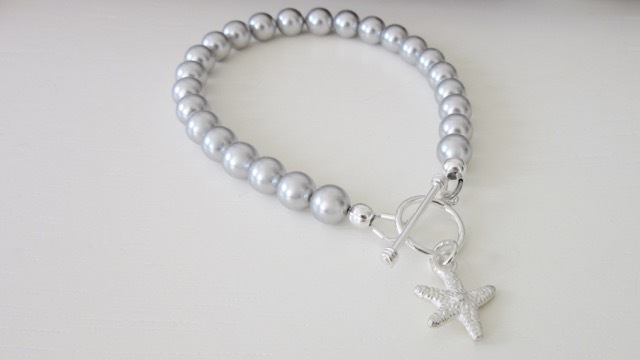 The pearls are Swarovski light grey and have a lovely silver tone with just the right amount of sheen. DIMENSIONS The earrings have a drop of 27mm. The star fish measures 15mm high x 11mm wide. 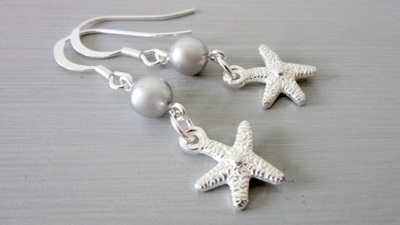 The pearls used are 6mm.